It's the back-half of the Highway 4 "Hump Home and Home" set tonight with the Bulldogs (14-24-2-5, 5th Island) returning the favour and paying the Clippers (22-23-1-1, 3rd Island) a visit at the Frank Crane Arena. After their 4-1 win at the Dog Pound on Wednesday night the Bulldogs have won the last three games in this head-to-head match-up, including he last two this building, most recently by a 2-0 score on December 20th. That followed up a 6-4 win on November 22nd. After tonight, these teams meet just once more before the Regular Season is out in early February at the Dog Pound. 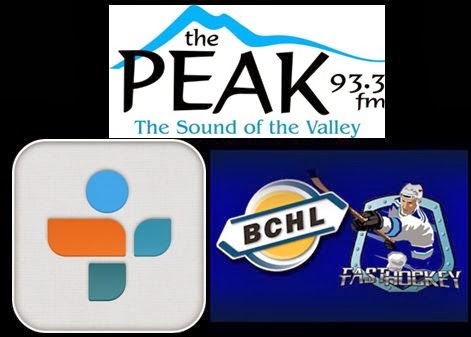 All the action comes your way courtesy of Pacific Chevrolet Bulldogs Hockey on 93.3 The Peak FM tonight from the Frank Crane Arena with the pregame show getting underway at 6:45 and the puck drop to follow at 7:00pm with myself and Bruce MacDonald calling it for you. Tonight's 2nd Intermission guest is Jon Zacks, Play-by-Play voice for the West Kelowna Warriors, who the Dogs host tomorrow night.